Most people have heard of the term "Kosher". It is usually referred to as the Jewish dietary law, but this is not exclusively the case. More extendible it means that something is legitimate, permissible or acceptable. 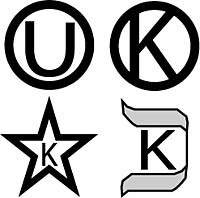 For foods and drinks to be certified "Kosher" they have to meet all criteria that the Jewish law applies to that specific food or drink. 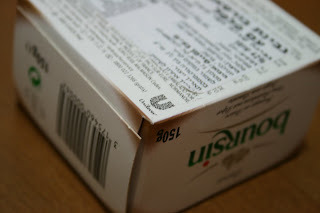 The supervision of these foods and drinks is done by various Kashrut supervision agencies e.g. the Orthodox Union. There are numerous Kashrut agencies for various levels of restrictions (please don’t ask…:-). Each one obviously identifies itself with its unique symbol. The symbols can be very confusing even to most kosher experienced shopper. This reminds me, a dear friend of mine wanted to prepare a nice kosher meal for me and a few other friends. She went into great effort, bought new utensils and asked what signs to look for. We tried to put her off the idea, but she insisted. Later on, over the phone I explained to her that perhaps the most frequent Kashrut agency was the Orthodox Union (the circle and U in the picture) so all ingredients should display that. It so happened that I was chosen as the “Kashrut supervisor” for the meal. I might have forgotten to tell her about the circle surrounding the U .... . I extended my lunch break and we went shopping together. The meal was delicious and everyone was happy and satisfied, happy ending. Yet again, you are probably wondering “Why is he telling me this?” . 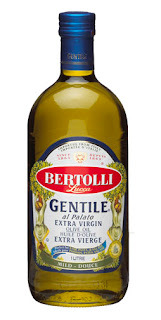 Ohh, just one more thing; Bertolli's Gentile is Kosher. a canadian client some days wanted me to get my company kosher certified - he was willing to pay the costs. i got hold of the people who were based in mumbai - the rabi who was incharge of india. his answer was really a shock. "pay for my air tickets and my fees will be 2500 USD - you shall get your certificate. inspection is just a formality - dont worry - we will handle it." i passed on the info to my client and we skipped the kosher certification. To be honest when it comes to tea this really is – “formality”. All teas are kosher unless there are some additives added.